Introduction to grant writing, tips on how to create compelling grant proposals, sources linking you to awesome grant writers! Having a grant writing service is a lucrative business. Grant writing is now attracting more people and businesses looking how to supplement their savings and profits. So how can you start your own grant writing consulting business? First, consider the matter carefully since making the transition can prove more complex than it actually seems. There are many professional grant writers out there. However, some of them have no nonprofit or grant writing experience. Unfortunately, a background in technical writing doesn’t make you a grant writer. It doesn’t make the transition easy since grant writing is different from technical writing. In technical writing, there is tons of research involved. Just like grant writing, the process involves accumulation of about projects and funders. This is where the similarity ends, however. 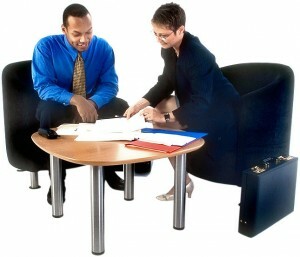 Grant writing consultants have one or more clients with various programs and goals. Having a technical writing background will enable you to produce content about numerous topics easily while in grant writing, there is a emotional language tuned to interest the reader. Funders provide money if they are tugged emotionally. They have a personal or emotional connection to the cause that the grant will fund. Grant writers have the job of convincing the funders that their organization deserves the money more than their other competitions who are also asking for the same funds. Organizations looking to hire or outsource grant writing jobs to someone with no proven track record or nonprofit field experience would be a slim chance. There are people claiming to be grant writing professional, but only prove to be a disappointment because they cannot provide well-thought out grant proposals. If you’re an experienced grant writer and have a portfolio and reliable references to prove it, you can start your very own grant writing consulting business, whether in an office or homebased. You can produce a presentation folder that include your bio with professional related experience, a catalog detailing the projects you have worked on, and portfolio of organizations that have approved your grant proposals. Additionally, highlight specific areas such as benefits or affordability in working with your company. Define your target niche. Identify what types of grants your grant writing consulting business will focus on. They can either be small business grants, research grants, or grants geared for nonprofits. Try submitting a brief presentation to individuals you know who manage nonprofits. From your wealth of nonprofit experience, you certainly have established connections and built networks. You can use your own local grantee lists you have accumulated over your past work experience to start an online database or inventory. This way, you can easily manage to send out ads or postcards to nonprofits on your list. If you must, follow up with an email or phonecall. Try being visible in the social media sphere to promote your grant writing consulting business. Build a website and design it around specific content to increase readership and traffic. Soon enough, you’ll be getting frequent referrals and new clients.